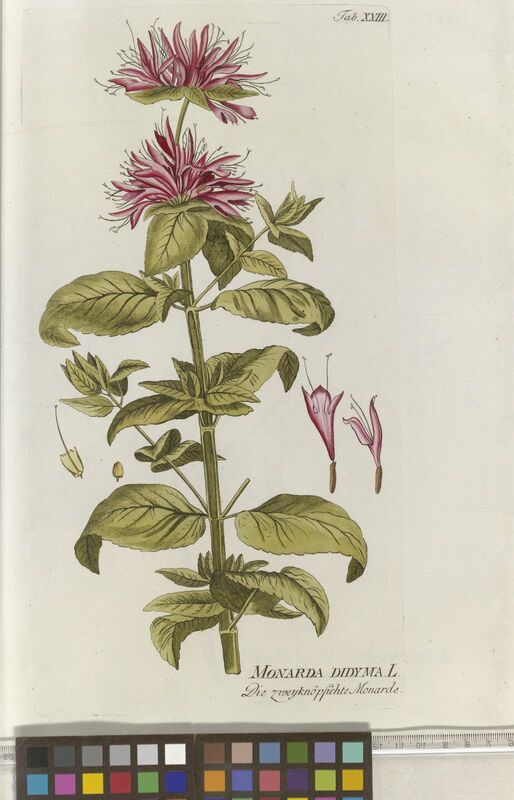 Corolla red, 30–40 mm long; posterior lip glabrous or sparsely pubescent. 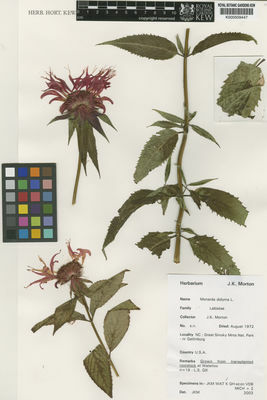 Monarda didyma var. angustifolia Torr. K.H.S., Gard. E. Afr. : 136 (1995).